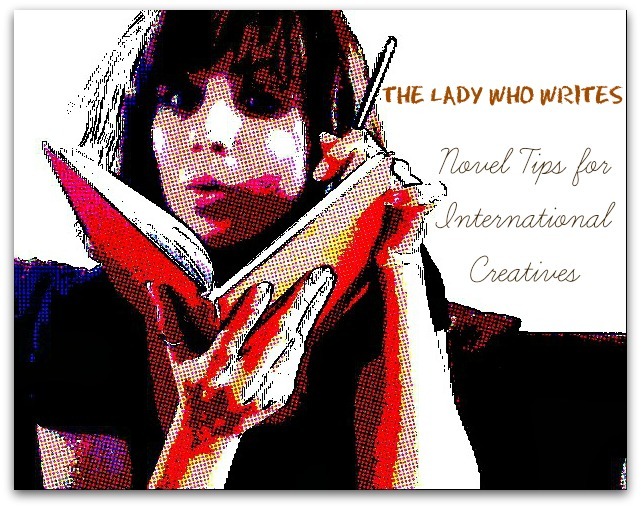 THE LADY WHO WRITES: Get over yourself, and start promoting that novel! The Lady Who Writes, Meagan Adele Lopez, is back today: we’ve missed her! Once again, she’ll be doling out practical advice based on her own experience for expats and other international creatives who are engaged in writing novels using some of the material gathered from their novel, shall we say, life stories. Meagan is a repeat expat in the UK (last time Bristol, this time London). Besides writing, her talents include acting, blogging, and crafting ads for social media. So—you’ve written the book, you’ve got the editor, your friends and family love it, you’ve done the Kickstarter to raise the money and your blog has a steady readership. Don’t you think you deserve—no, the WORLD deserves—to get a chance to know it exists? The fact is, most of us writers are a little afraid of self-promotion. But by the time you finish reading today’s column, I hope you will have gotten over that fear and are full of determination to plug your Great Work like crazy. You don’t have a manager? You don’t have a PR team? You don’t know a graphic designer? All good! Even if you had all those things, you’d still be expected to do as much, if not more than, the promotional team, who are working on other books as well as yours. Obviously, having a group of PR professionals around you wouldn’t hurt. But c’mon! You’ve been preparing for this your entire life. You got this! Notice the misspelling and the comma in a weird place? It certainly makes a statement, doesn’t it? Don’t get me wrong: it’s a great idea to comb through the final manuscript, edit the spelling mistakes and make sure your character arcs are outlined appropriately. But how long have you been working on this novel? One year? Two years? Ten?! Wouldn’t that be a wonderful way to live? This article is a perfect example, actually. I have written and re-written it about five times. Twice because my computer crashed, and three times in my head because I didn’t feel like I had anything relevant to add to this topic. Wait, did I just say I have nothing to add? I work in ADVERTISING and MARKETING for God’s sake. How could I not have something to say? All of our heads get in the way sometimes, and that’s OK as long as you don’t let it run you. I know this article is supposed to be about promoting your novel, but I think the most useful thing I can tell you is to get over yourself and realize that you are damn good enough to have other people read your book, now that it’s finished. Regardless of what other writers on writing would have you believe, there are no secret tips to marketing and promoting your novel. Yes, there are the basics—advertising campaigns, blogs, newsletters, etc. But the most important thing is to refuel that passion you had when you were dining with your characters, when you were rehearsing your book trailer and reading every other author’s done works, and use it to drive your promotional efforts. But I will tell you to have goals. Do you want to sell 50 copies or tens of thousands? Do you want to make the New York Times Bestseller list, or do you just want your entire family to read it? Do you want to write articles or be interviewed for great sites like The Displaced Nation? Once you’ve set some goals, how you go about achieving them becomes a lot easier. What I can also say is that everything you write after you finish your book will be a promotion for that book. For example, at the end of this article is a little blurb about who I am and what I’ve written. Same for this interview I did in 2011 about publishing on Kindle, this article I wrote about taking the time to make change happen, and this article I wrote just recently for BBC America about combining British and American weddings (a version of which appeared two years ago on the Displaced Nation). Once you write a book—everything you do will help promote it. 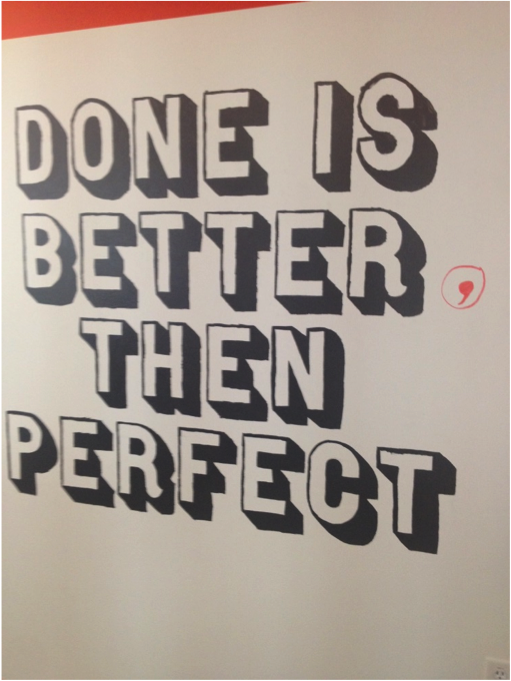 So finish with the finishing touches, get out there and start talking about it! Meagan Adele Lopez grew up in the U.S. with a Cuban-born father and American mother, and at one time enjoyed an acting/casting career in Hollywood, something you can detect in the beautiful trailer for her novel, Three Questions. Her day job these days is in social media advertising. To learn more about Meagan, go to her Web site. THE LADY WHO WRITES: Even before you write the last word of your novel, start rehearsing the book trailer!